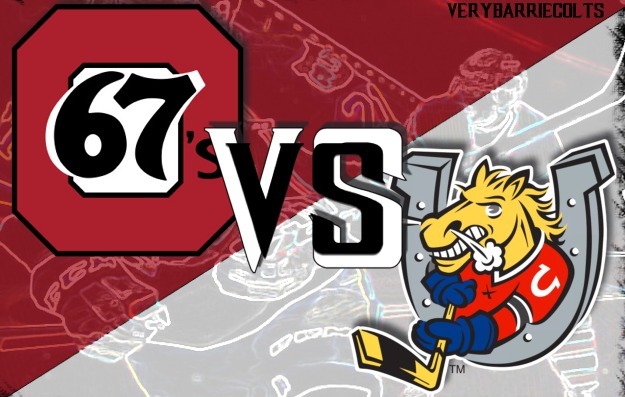 Game Preview: Barrie Colts VS Ottawa 67's on Sportsnet. #OHL - Very Barrie Colts | A website covering the Barrie Colts of the OHL. 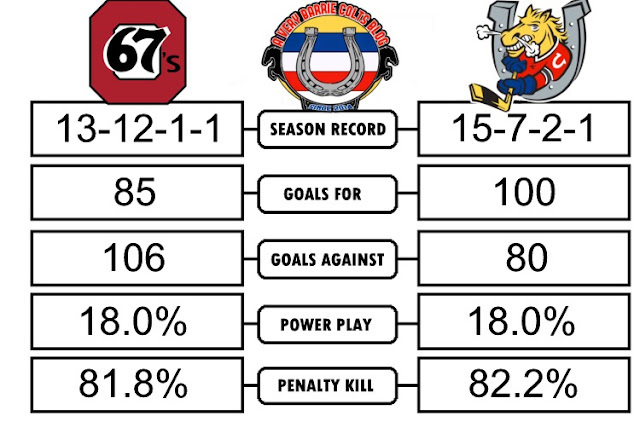 This afternoon the Barrie Colts (15-7-2-1) host the Ottawa 67's (13-12-1-1) for the third of four meetings this regular season. The game can be seen nationally on Sportsnet to kick of the networks CHL Saturday Showcase on Sportsnet schedule. Barrie won both meetings this season, first a huge 11-2 win in the first game of the season and a 4-2 win just under a month ago. Ottawa is back home following a 4-1 loss against the Kingston Frontenac's Wednesday night at the K-Rock Centre. Rookie winger, Graeme Clarke got the teams only goal. Olivier Tremblay got the start for Ottawa and made 27 saves. 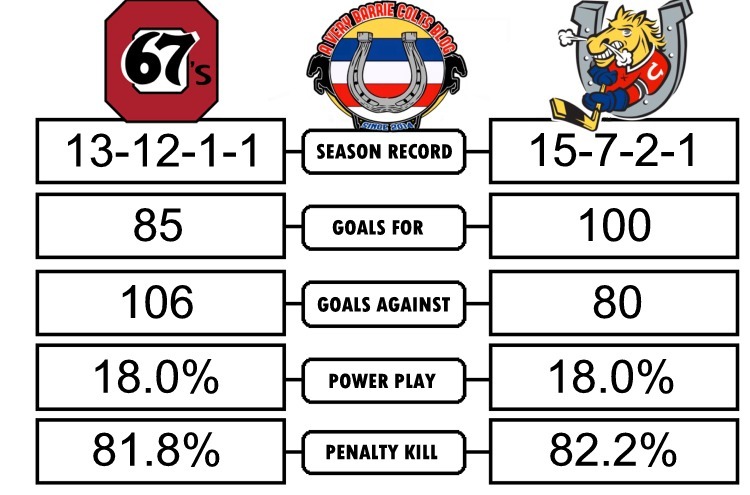 The 67's struggled gaining puck possession while winning only 20 of 57 face-offs. They managed to go 1 for 3 on the power-play; while allowing 1 goal on 4 penalty kills. Ottawa comes into today's game riding a 4 game losing streak and will no doubt look to get revenge on a Barrie team that has dominated them for the most part this season. The Colts gallop into Ottawa riding a 2 game winning streak. They won 6-3 in their last game over a strong Mississauga Steelheads team this past Thursday. Ben Hawerchuk was named the 1st star after scoring a pair of goals, while TJ Fergus added a pair of assists. Ryan Suzuki also got on the board putting up his 3rd of the season; while Tyler Tucker, Lucas Chiodo and Jaden Peca would all put up goals. Leo Lazarev got the start and ended the night with 24 saves. A huge part to the ponies success was special teams. Barrie killed off all 5 penalty-kills while scoring a goal on 3 man-advantages. Barrie is 7-2-2-0 on the road this season while Ottawa is 7-3-0-0 at home. Barrie needs to keep the momentum from Thursday night. Ottawa will come out strong having lost 4 straight games and 2 straight to Barrie. If Barrie can keep the same flow they had Thursday, they should be able to extend their current winning streak.